Northern Atlantic Dive Expeditions, Inc. was founded in 2000 by Heather Knowles and David Caldwell with the intent of promoting shipwreck exploration in New England. 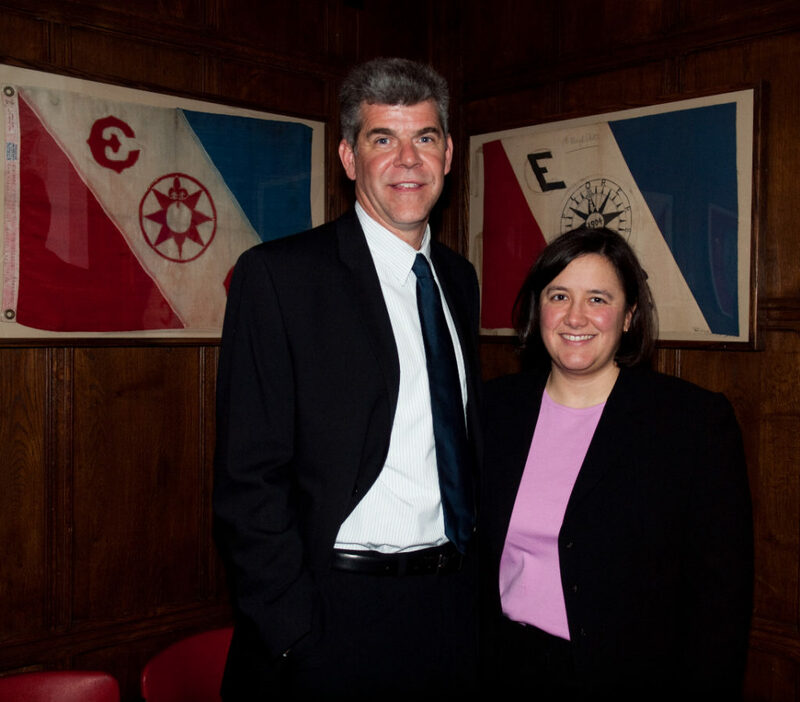 From 2000-2004, Heather and Dave organized and led charters aboard other vessels, focusing on local Massachusetts Bay diving, as well as larger trips to shipwrecks such as the Empress of Ireland, Andrea Doria, and U-869. During this time, Heather and Dave planned to acquire a boat, and ultimately decided to build one. 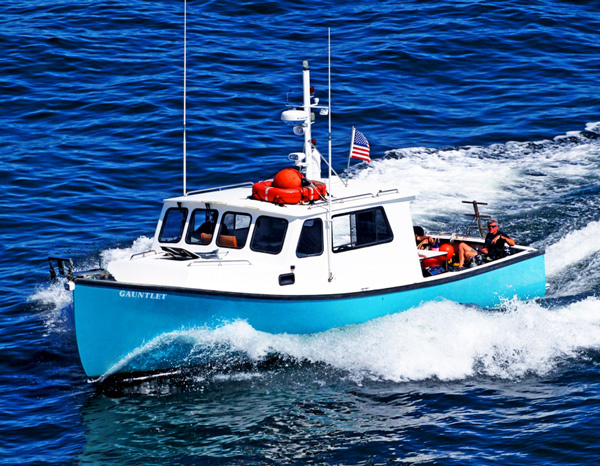 In 2004, NADE launched GAUNTLET, a custom-built Northern Bay 36 downeast style boat, constructed specifically for diving. GAUNTLET enabled NADE to expand the business, offering more charters, the potential to conduct research and exploration, and offer technical diving training. Gauntlet operates as a semi-private dive boat offering both dive charters and running as a private dive boat focused on projects. GAUNTLET became a platform for research and exploration in addition to sport diving charters. NADE has supported research projects during the LNG terminal construction, conducted surveys of sunken vessels for insurance companies, and worked with academic researchers studying the marine environment. NADE expanded it’s own work in shipwreck discovery and exploration with GAUNTLET, and discovered several notable, historic shipwrecks along the way. With over 800 dive charters run aboard GAUNTLET, Heather and Dave have brought many divers on thrilling adventures, promoting diving, and leading excursions into our maritime history. Captain David J. Caldwell is a co-founder of Northern Atlantic Dive Expeditions, Inc. Dave is co-captain of the GAUNTLET and holds a commercial 100 Ton Near-Coastal Master’s license. Dave is a NAUI Course Director and Technical Examiner (IT) with open circuit and CCR trimix qualifications. Dave is a Fellow of the Explorers Club. In addition to instructor-level certifications, Dave holds OC and CCR full-cave certifications. In addition to making shipwreck discoveries in his local waters, including the historically significant USS Nezinscot among others, Dave has led and/or participated in collaborations with NOAA’s Stellwagen Bank National Marine Sanctuary, as well as in expeditions to notable shipwrecks such as the Andrea Doria, Empress of Ireland, SS Republic, and shipwrecks in the Mediterranean and the South China Sea. Captain Heather L. Knowles is a co-founder of Northern Atlantic Dive Expeditions, Inc. Heather is co-captain of the GAUNTLET and holds a commercial 100 Ton Near-Coastal Master’s license. Heather is a NAUI open circuit and CCR Trimix Instructor and TDI Advanced Trimix Instructor. Heather is a Fellow of the Explorers Club, and has been the Diving representative on the Stellwagen Bank National Marine Sanctuary’s Advisory Council (SAC) since 2008. She is currently the Chairperson of the SAC. Heather holds OC and CCR full-cave certifications. In addition to making shipwreck discoveries in her local waters, including the historically significant USS Nezinscot among others, Heather has led and/or participated in collaborations with NOAA’s Stellwagen Bank National Marine Sanctuary, as well as expeditions to notable shipwrecks such as the Andrea Doria, Empress of Ireland, SS Republic, and shipwrecks in the Mediterranean and the South China Sea.